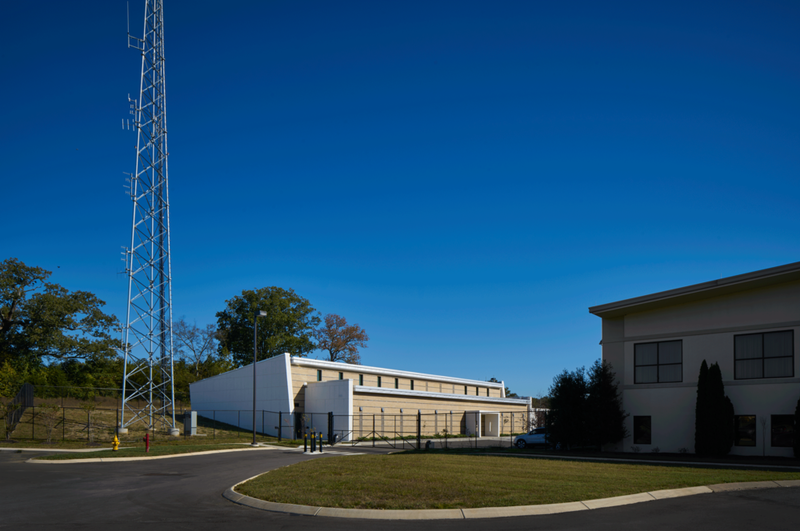 The consolidation of multiple municipal 911 dispatch centers into a single County wide agency was the impetus for the building. The design team was tasked with incorporating the complex technological and redundancy of systems necessary to support the staff working in the structure, while providing for a comfortable, humane work environment. 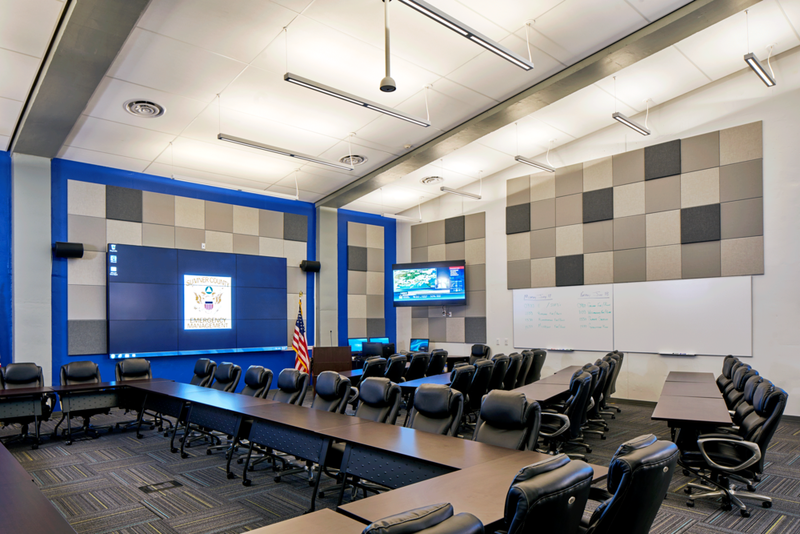 The emergency communications and operations spaces are separated by staff offices, while the shared support spaces provide for a break from the stress of the work. The facility is planned to accommodate services needs through 2035. Adhering to FEMA-361 guidelines, the building structure is designed to withstand the effects of an F-5 tornado. 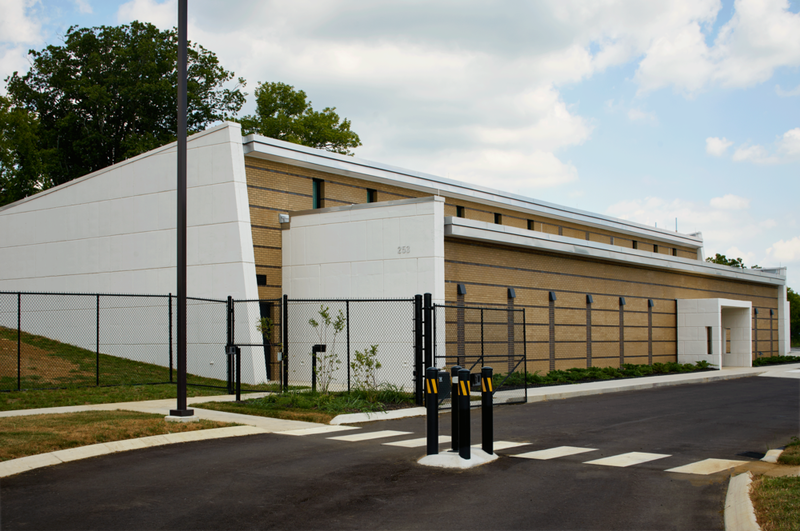 The cast in place concrete structure and adjacent equipment enclosure protect the building’s occupants, but also shelter the external and internal equipment from windblown debris. A backup generator provides full backup for the facility’s power needs. Redundant mechanical systems and fuel supplies are housed in the exterior equipment yard allowing the building to function off the power grid, if needed. The design team desired that natural light, despite the restrictions of the FEMA guidelines, be introduced into the work areas to maintain natural bio-rhythms for the staff who work long hours. By utilizing FEMA rated glass in the high east-facing clerestory windows, soft natural light was provided to the main work areas. 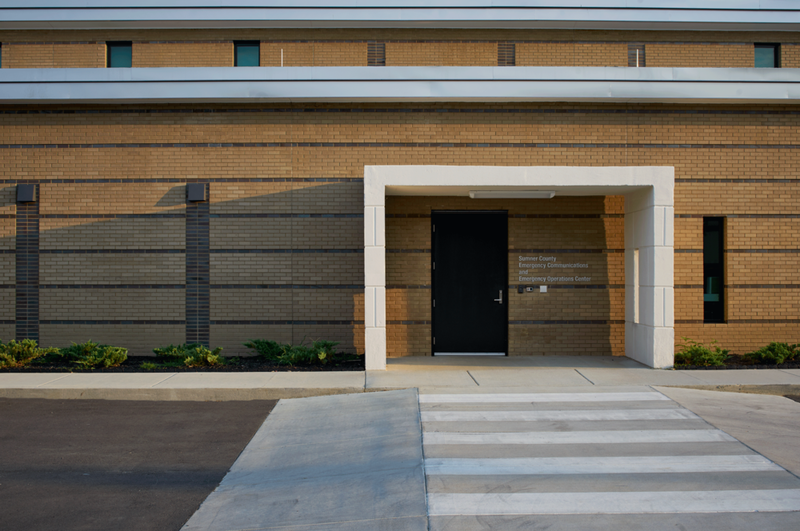 The use of brick and concrete on the exterior and interior provide visual signals that this building is a safe place to be in a storm, while providing essential community services.